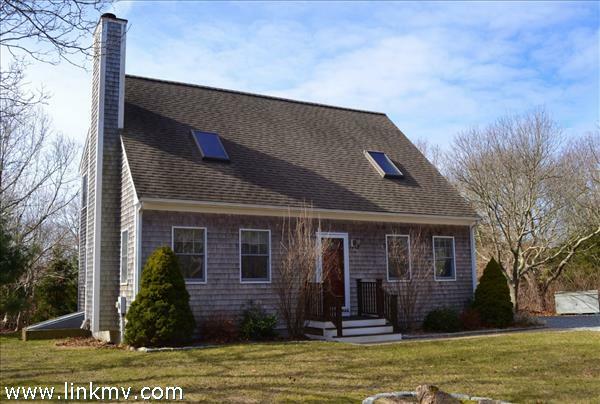 WONDERFUL TURNKEY EDGARTOWN HOME IN EXCELLENT LOCATION- Being sold furnished with rentals in place for 2019 summer season. 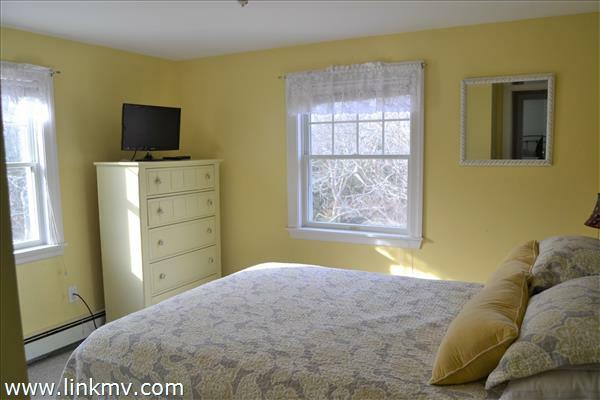 Rental proceeds, +/- 30,000. credited to buyer at transfer if prior to rental season. 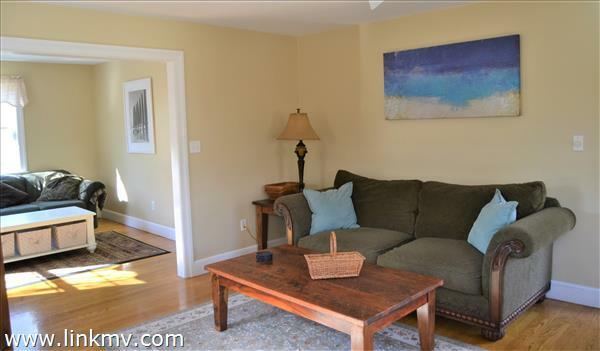 This comfortable and bright 4 bedroom home is a proven income producer or would make a comfortable vacation or year round home. 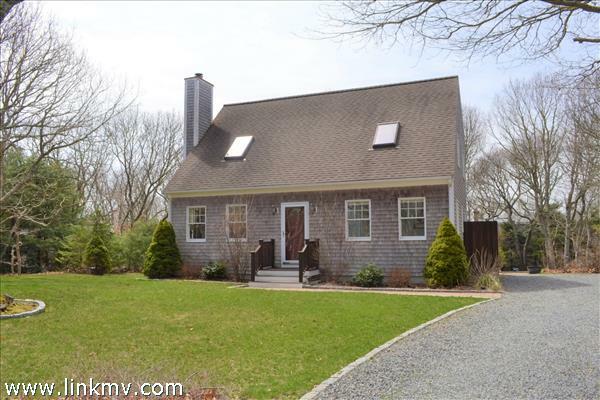 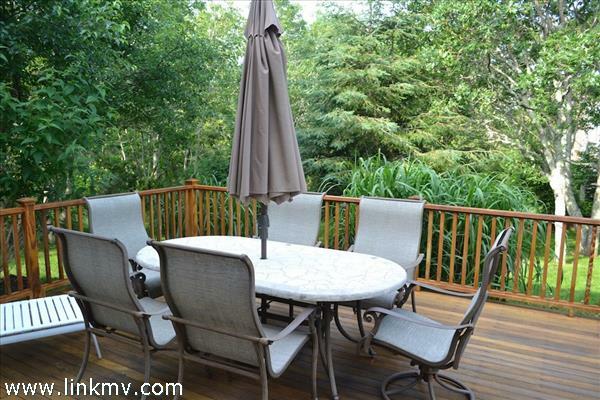 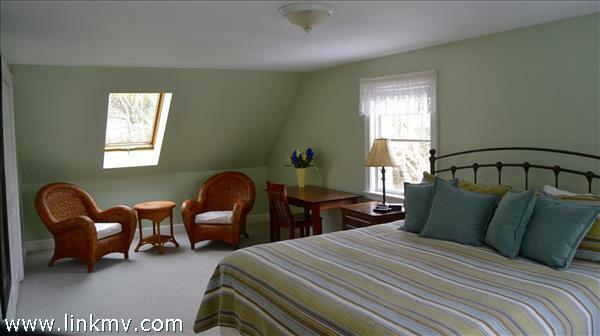 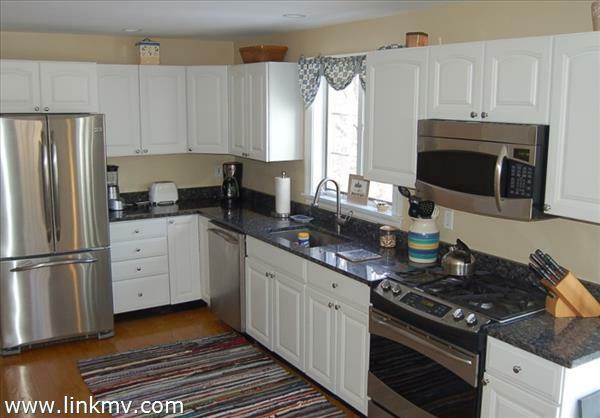 Located in Westminster Acres, 3.6 miles to Edgartown Village and 4 miles to the beach. 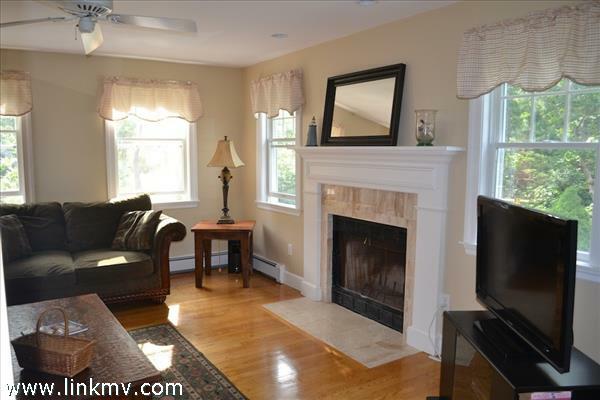 The first floor of this lovely home offers a bright and airy living room with a wood burning fireplace, a cozy den, and the kitchen has a gas stove, granite counter tops and stainless steel appliances. 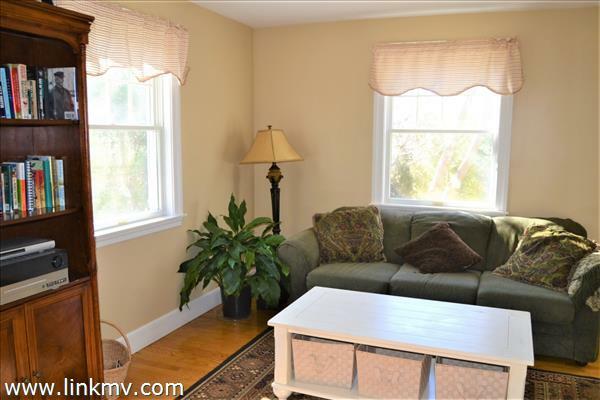 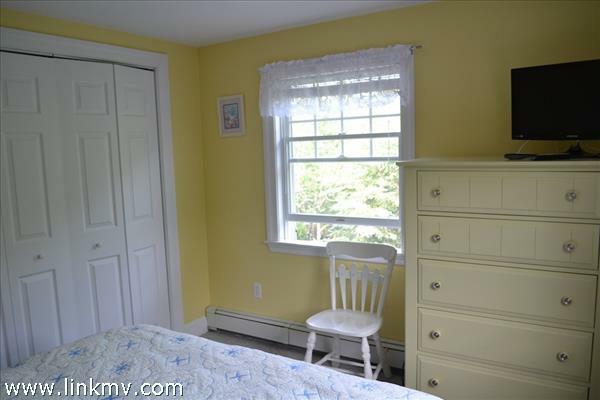 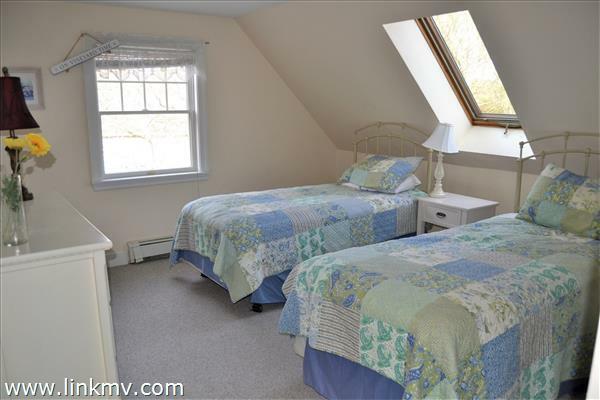 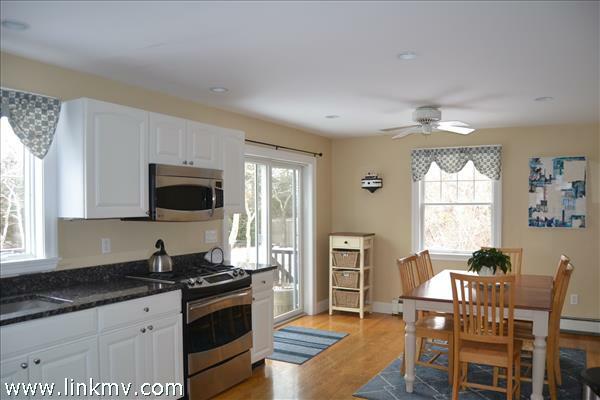 A first floor bedroom and full bath round out this charming cape style home .The second floor features a master bedroom that spans from the front to the back of house with a south facing sky light. 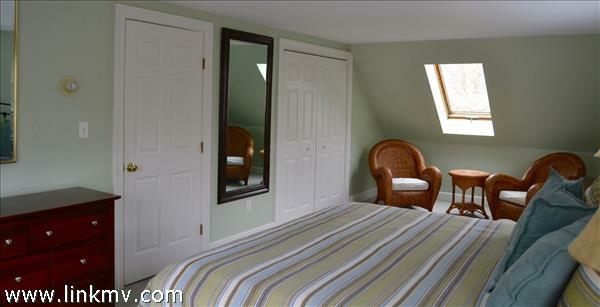 Two more bedrooms and a spacious full bathroom service the second floor. 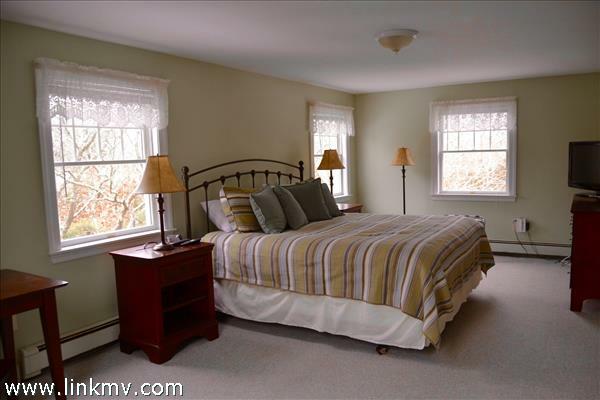 Hardwood floors on the first level, tile in the bathrooms and carpet in all of the bedrooms upstairs. 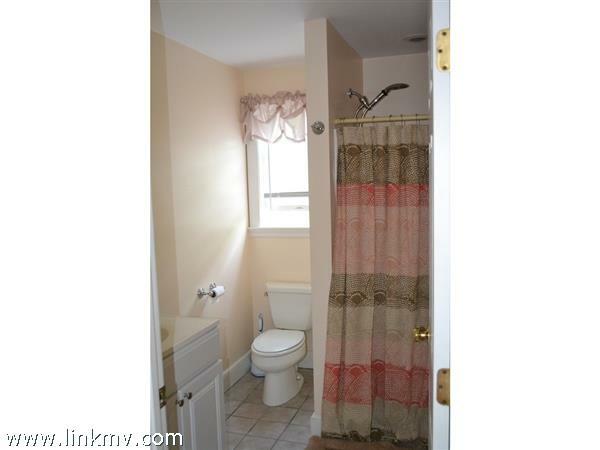 Forced hot water heat keeps the house warm and cozy in the winter months. 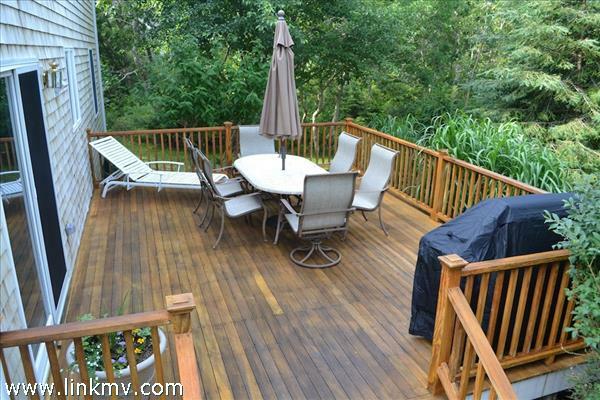 The slider from the dining area opens to a large, private deck that is designed to take advantage of the lush private back yard and outside shower. 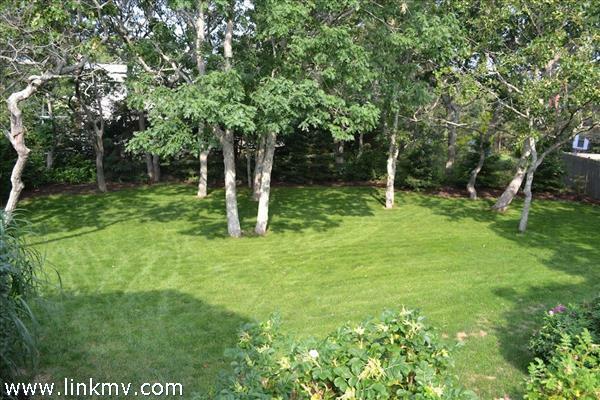 The entire yard: front and back, and the perennial beds are equipped with an irrigation system. 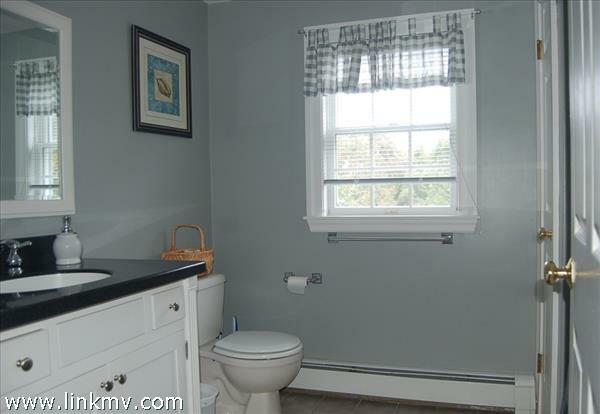 Full unfinished basement with 8' ceiling, washer and dryer, and a bulkhead that provides access to the side yard. 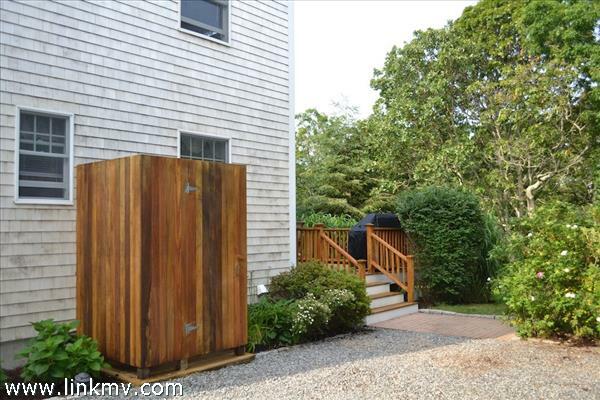 Conveyed with the property is an underground 500 gallon propane tank which enables you to choose your gas provider. 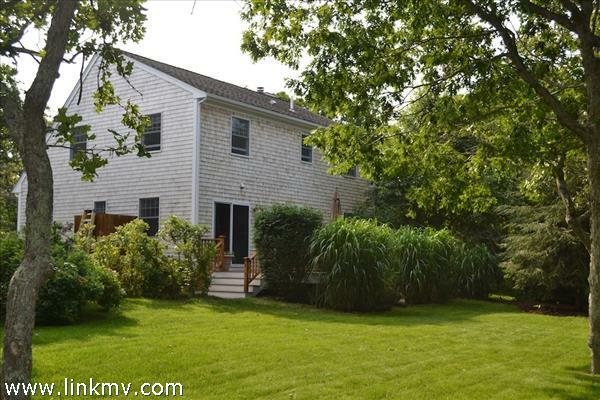 There is a pea stone drive way with ample room for cars. 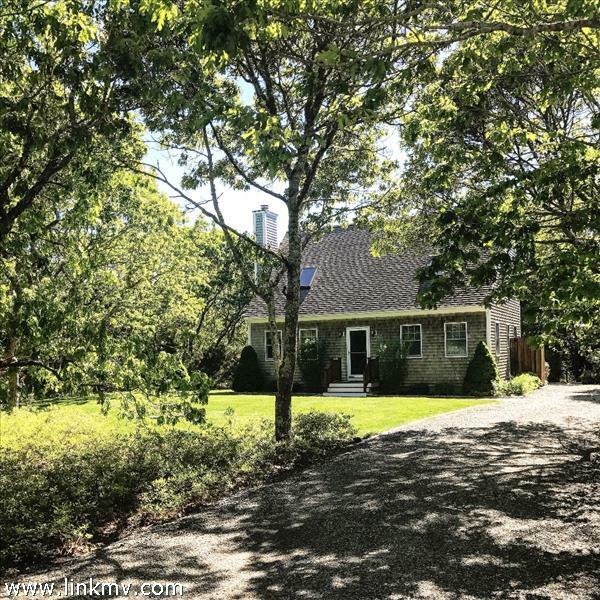 Nestled on over a half acre with room for a garage. 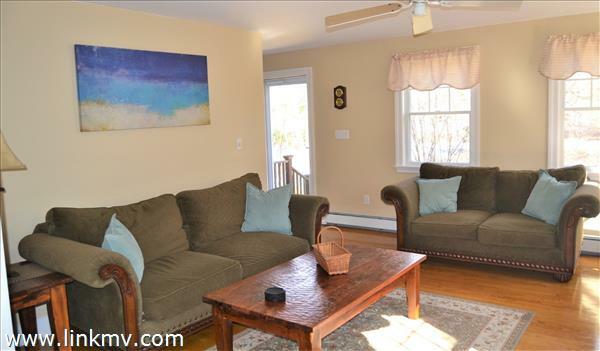 A solid investment opportunity for a year round or vacation home of your dreams. 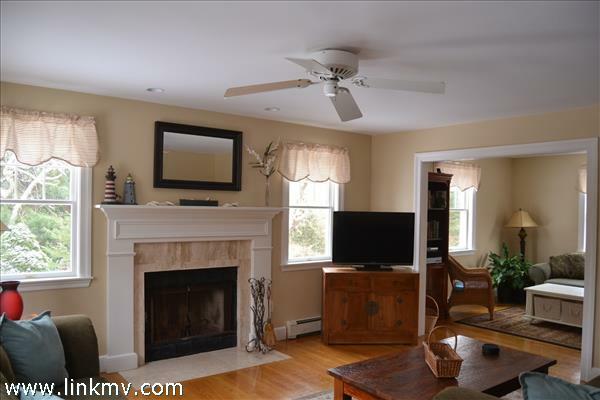 Floor 1: Living room with fireplace, den, first floor bedroom, full bath, kitchen and dinning area with slider of to back deck.